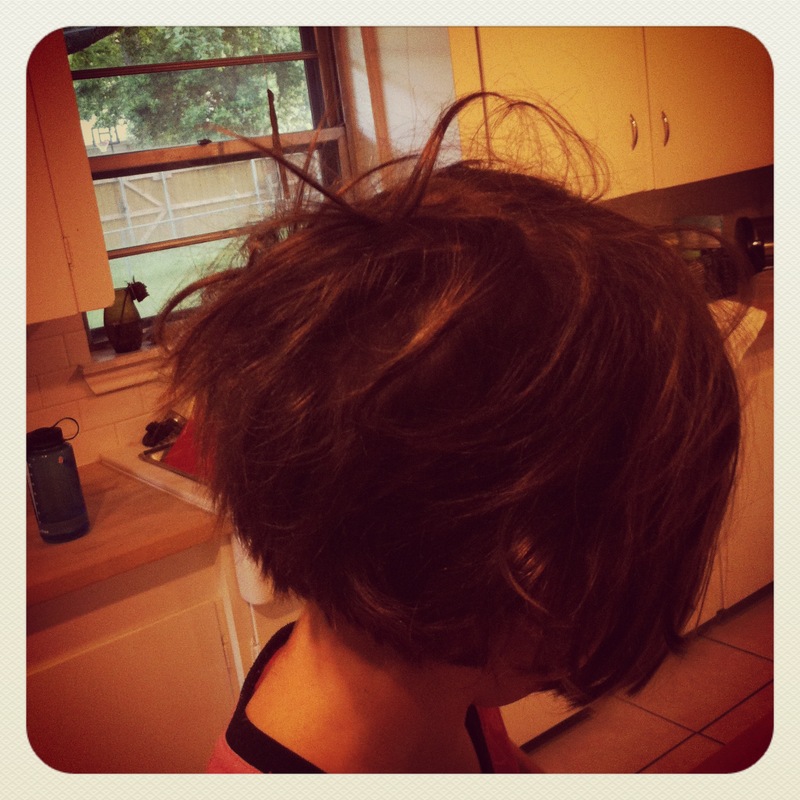 This is slept in hair or as I like to call it sometimes, Kate Gosselin hair. It’s all business in the front and crazy Ke$ha party in the back. And that’s short hair. I hate to think what will happen when she grows her hair out. We might have to buy detangler in the economy size. 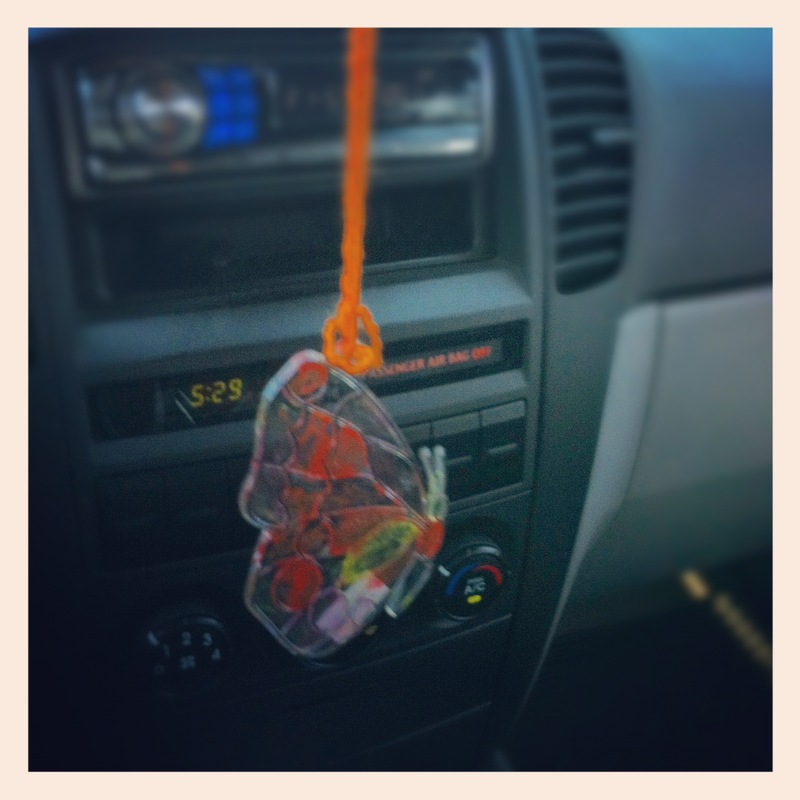 Why yes, that is an orange butterfly hanging from some orange yarn, hanging from my rearview mirror. This is how I balance out my parent guilt. Sorry sweetie, I can’t stay home all day with you and hang out or pick you up early from school, but I will proudly hang this thing you made from my rearview mirror for all to see. You should have seen the giant construction paper egg wreath hanging in my husband’s car. We are beyond cool.